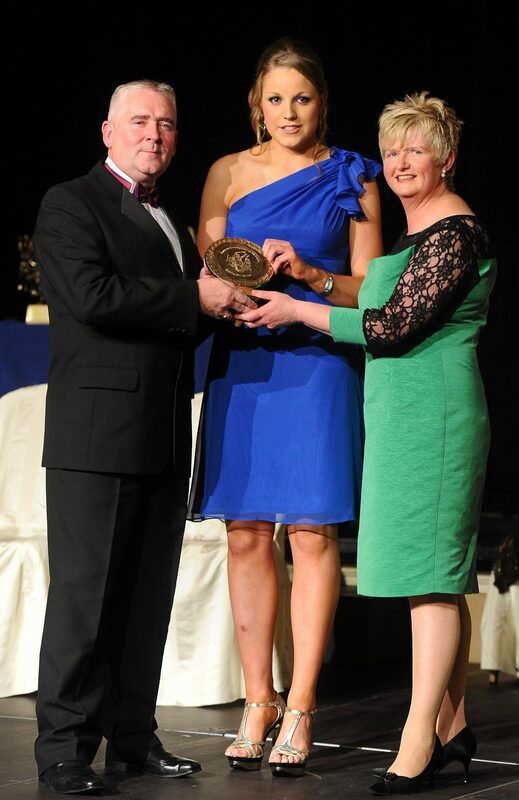 The name Sarah-Anne Fitzgerald has long been synonymous with Laois camogie. 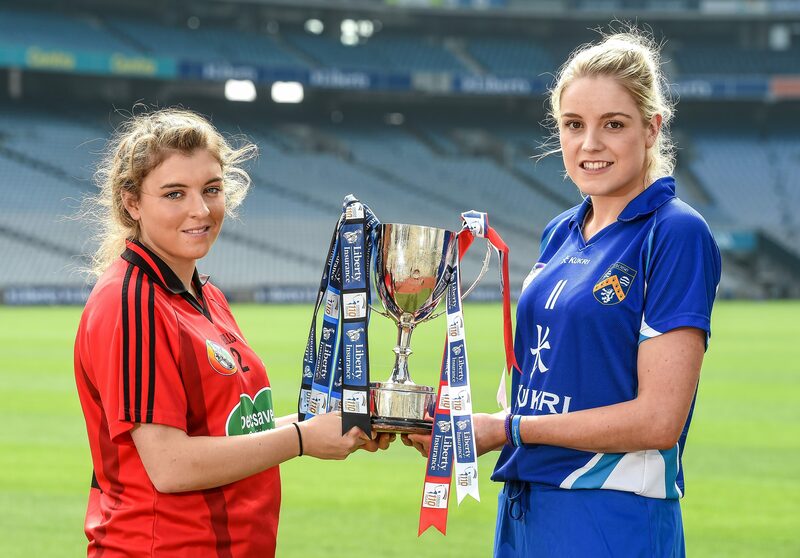 With an impressive presence all over the field and range on frees most hurlers would be aiming for, Sarah-Anne, or SAF, has certainly left her mark on intercounty camogie. From honing her skills in Castletown NS with packets of crisps and chocolate for a reward on a well-played game, to walking onto Croke Park and winning the All-Ireland junior championship final – SAF has a long history with the sport she loves so well. She took the time to speak about the impact the late Martin Moore had – not just on her but on Camross and Laois camogie. Sarah-Anne speaks about her earliest memories of sport, changes she would like to see and what motivates her to compete at such a high level. Who did you look up to growing up and why? Seanie McMahon the great centre back from Clare. Who had the biggest influence in sporting career? Martin Moore is the main reason I’m the player I am today, from a young age he trained me up along focusing on the basics and once I got them right, it was easier for me to develop as a player. He is a massive loss to Camross and Laois camogie. Did you have to make any big decisions to help your sporting career? Thankfully I was never put in a position by any manager to pick or choose what code, team or competition I was going to play and I think it’s extremely unfair for managers to do such a thing. But I did have to make decisions myself. When I was U14 I was playing a lot of sport and with a lot of teams. I couldn’t give my full attention to camogie so something had to give and one of them was badminton. I use to play badminton for Leinster U13’s and had a few training sessions with the Irish Squad and we use to train every Saturday and Sunday up in Dublin and this was getting in the way of camogie. 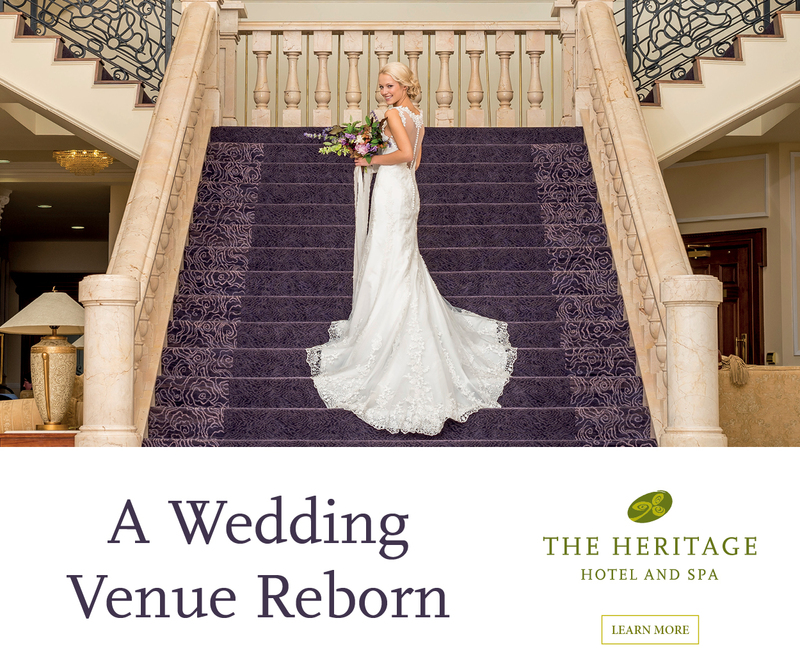 I stuck at it for a few months but the final nail in the coffin wasn’t because I missed my own camogie game or training but because I missed the All-Ireland hurling final in ’03. 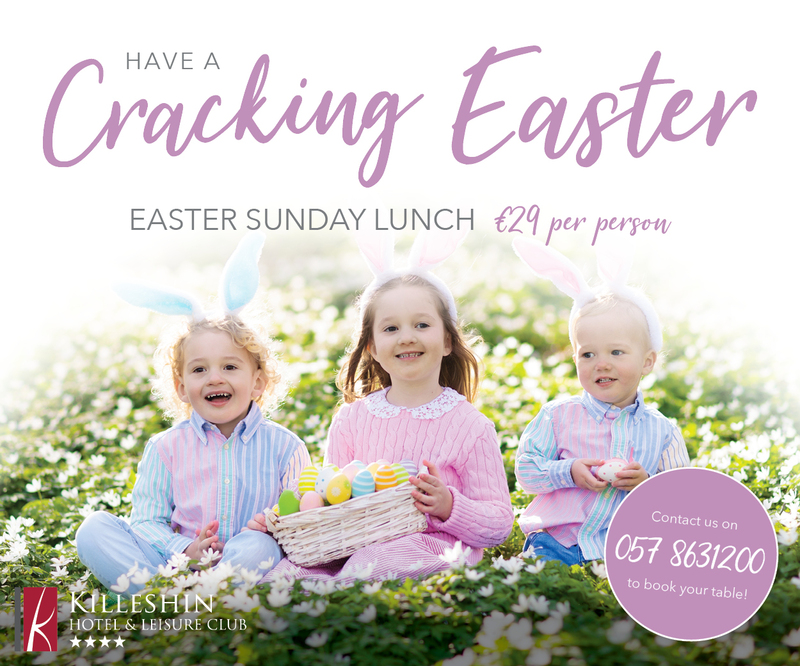 My mother picked me up from training and at this stage I was already thick for missing the All Ireland but when I found out that Kilkenny won after beating Cork I said that’s it I’m done with badminton and I never went back after that and went back to camogie training the following week. The funny thing is I’m not a Cork fan at all! 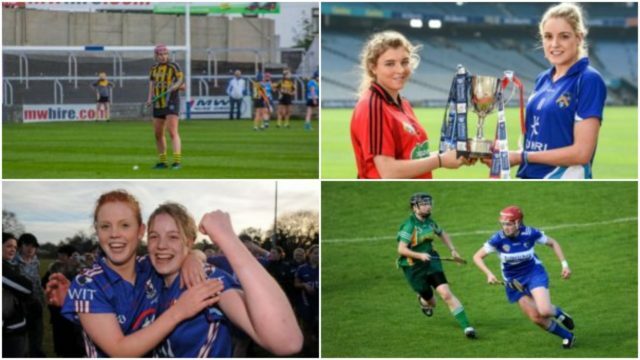 If you could see one thing changed about camogie, what would it be? The game needs to allow for more physicality to make the game free flowing, plenty of senior players have publicly called for this change and I hope it does come into affect at congress. The game is suffering as a result and the point of example is last years All Ireland final between Cork and Kilkenny, the game was a dreadful spectacle that was won on frees, you could say that the referee should have used common sense and allowed the game to flow but instead he followed the rule book and you can’t fault him on that, so definitely physicality needs to come into the game. Secondly, we need to get rid of skorts, I think you would find it hard to find any camogie player that likes wearing them and if you were to go around to all the training sessions around the country you wouldn’t find one person wearing one at training! Any advice for young girls thinking of getting involved in you camogie? Get yourself a tennis ball and get to a ball wall or the gable end of your house and just stay hitting the ball off the wall high and low and train your eye in at a early age, the more you do this the better your touch, speed and hand eye coordination will become and the easier it will be to control the ball. What’s the earliest memory you have participating in your camogie? 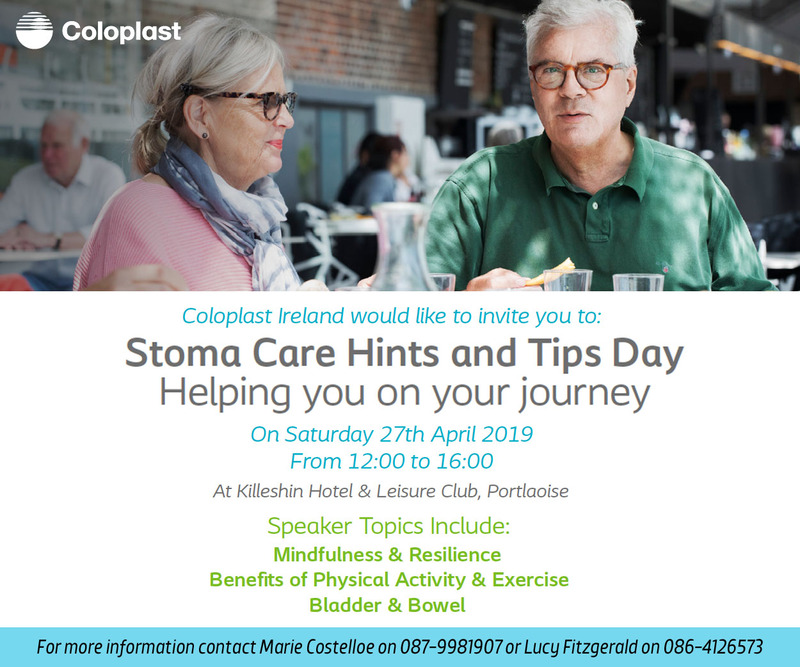 It would have been Cuman na mBunscoil with Castletown school. We use to train out the back of the school and on match days we would all load into cars and would get a bar of chocolate and packet of taytos after every game. We got to play in finals in O’Moore Park on a number of occasions and this was like an All-Ireland to us. They were great days out as most of the school and parents would come out and support us. Can you tell us a bit about your early playing days? My days began playing with Castletown boys who I played with up to U14 level. I remember my first ever game, over in Colt at an u12 blitz. The reason why I vividly remember it was because the first 5 minutes of the blitz was ground hurling and we could not wait for the ref to give the go ahead and play normal hurling! When I started with Castletown girls, we endured a lot heavy defeats but we had one year at U14 where we had a great group of players and we won the county final that year beating the team I currently play with now, Camross. I’ve been lucky to have won a lot in my career but that win is right up there because of the manner in which we won it – getting a goal in the last few minutes. Unfortunately Castletown Camogie Club didn’t last too much after that as the club fell apart and two years after that win I won my first medal with Camross again the U14 county final. What young player in your club/area/sport would you say is one to watch out for? There is a lot to choose from which is a great sign, but the girls that stand out for me are Caoimhe Cuddy of Naomh Eamann who is a great prospect along with Leah Daly and Ava Guilfoyle of Camross. What motivates you to compete at such a high level? For me it’s as simple as just wanting to play camogie because I love it and being the best that I can be at it. 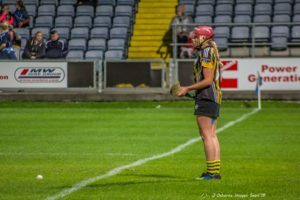 I had a dreadful year last year in terms of injury but in a way it has given me a fresh outlook on camogie and a new challenge to get back to the standard that I was before my injury. I cannot wait for this season to really kick off. What do you see for the future of camogie? Unfortunately camogie at this time is facing a major crisis as we are getting left behind as other codes strive in terms of participation, revenue and visibility. I’m so jealous of LGFA to be honest, I would love to see a sponsorship like Lidl in LGFA be replicated for camogie and would love if TG4 had the rights to show camogie matches like they do for ladies football. Camogie has the potential to be as successful as ladies football and I hope to be at an All-Ireland final along with 50,000 other people but a lot of work needs to happen to get to that level. 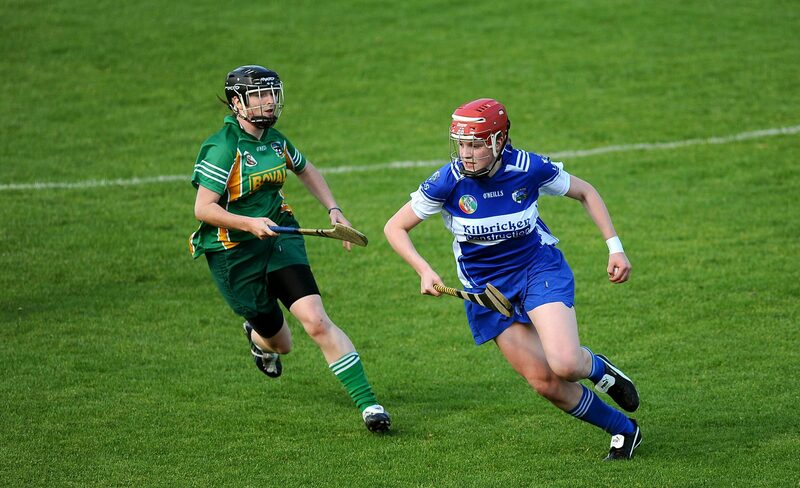 For Laois Camogie I would love to see Laois competing for senior honours and it’s something that could happen. To achieve this we need more girls playing camogie in Laois and this means having more clubs especially at senior level. Great work is being done in Portlaoise, Naomh Eamon, Abbeyleix and Ballacolla in particular at underage level but the key is to transcend that success to senior level, it will take a while and maybe a couple of beatings but if these clubs stick at it they will get their rewards. What is great to see from Laois camogie perspective is the spread of county champions across all age groups in 2018. 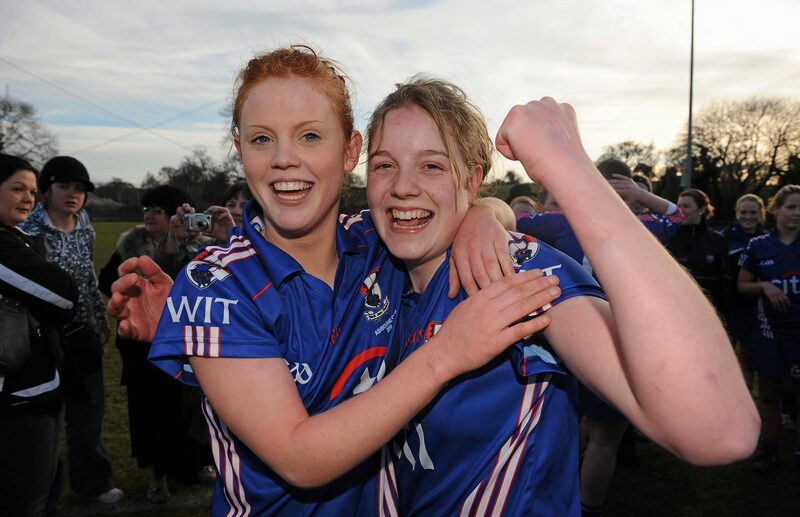 Collette Dormer, left, and Sarah Anne celebrate victory for WIT over UCC in the Ashbourne Cup Final in 2010. What would a typical day be like for you? On match day, I start off with scramble eggs and coffee while flicking through the music channels on sky, I would then pack my bag. I would never pack it the night before because it passes the time on the day of the match. 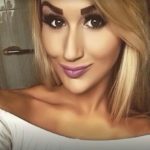 I relax for a while (probably still flicking through the music channels), do a lot of stretching to loosen out the body, if I feel hungry I’ll have something light, put on the tracksuit and then either I drive to the game or my sister does and have the tunes blaring along the way. What’s the best and worst thing about being involved? Worst thing is right now the cold, dark miserable nights at training and trying to catch a ball when your hands are absolutely freezing. The best thing is winning with your friends and those 5 minutes after the final whistle of euphoria it can’t be replicated and there is no better feeling.